By Alan Green in Tertiary Minerals (TYM) on 20th December 2017 . 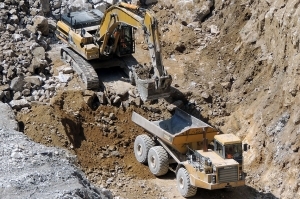 In the wake of Tertiary Minerals #TYM landmark deal with German commodities giant Possehl Erzkontor, an article on Industrial Minerals forum Imformed.com provides further evidence of an upturn in the global Fluorspar market. 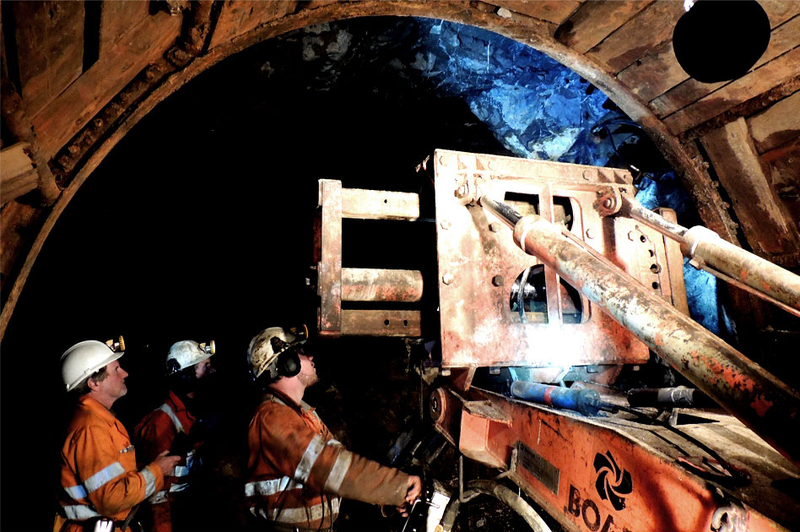 British Fluorspar’s rejuvenation of the Milldam Mine in Derbyshire, UK is one of several industrial mineral developments which have galvanised a perceived revival of UK mining opportunities in recent years. UK developments in evaluating and mining fluorspar, barite, salt, gypsum, potash, polyhalite, and lithium were highlighted at the recent IOM3 conference “Current Developments in the UK Mining Industry”, held 4-5 October in London. Milldam mine is situated in the Peak District National Park and was established in 1951. Operations ceased in 2010 and then restarted in 2013, following British Fluorspar’s acquisition of the mine and Cavendish Mill in 2012. British Fluorspar, which is owned by leading fluorochemicals manufacturer Fluorsid SpA, Italy, has developed the mine into a modern trackless underground mining operation using a sub-level open stoping system with an underground decline from the surface to mine the narrow vein sub-vertical orebody. Robinson reported that the operation was coming to the end of its modernisation of equipment phase after a period of dewatering. The resource hosts fluorspar, but also lead and barite mineralisation, and is planned to be mined for 20 years. Key to the success of Milldam has been the switch from open pit mining to mostly underground operations, clearly reducing its environmental footprint on the surface. Up to 2010, >90% of operations were open pit; by 2016 this had been reduced to a mere 15%. “There is a future for underground mining in the UK and in Europe. We have to make underground mining in the UK more efficient, that is the future. The challenge is to remain self-sufficient in this highly regulated environment.” said Robinson. Robinson acknowledged the recently published European Commission (EC) reassessment of its List of Critical Raw Materials (CRM), in which fluorspar is again listed as a CRM. According to the EC, the EU has an overall import reliance of 70% for its fluorspar requirements. While China accounts for some 64% of world fluorspar supply, Mexico is the EU’s main source of fluorspar, accounting for 27% of demand (China accounts for 17%). Interestingly, the 2017 EC CRM Review included barite for the first time, with an EU import reliance of 80% (China, 44%, India, 18%). British Fluorspar produces around 10,000 tpa barite, as well as 65,000 tpa processed fluorspar. ……Further to IMFORMED’s earlier report on fluorspar developments in South Africa, SepFluor Ltd appears to be progressing well, if a little ahead of schedule, with its Nokeng project with the plant expected to be completed by August 2018, with final handover expected by February 2019 (180,000 tpa acidspar, 30,000 tpa metspar). In a recent interview with South Africa’s Mining Weekly, SepFluor CEO Rob Wagner considered that the fluorspar market has survived the bottoming out of prices from mid- to end-2016 and that 2017 was representing an upturn. Certainly, prices have recovered during the year, hitting four-year highs and rising towards $400/t acidspar FOB China in September. According to Roskill Information Services, “The price of fluorspar generally is on a long-term upward trend.” Roskill’s take on the influence of China on the world fluorspar market will be presented at Fluorine Forum 2017. Rising domestic demand from China’s fluorochemicals market has impacted supply for exports, although it must be noted that all mining and processing of Chinese minerals are being squeezed by antipollution inspections and the dynamite ban. According to research by SepFluor, there will be a shortfall of fluorspar of 600,000-800,000 tonnes in global markets by 2026.